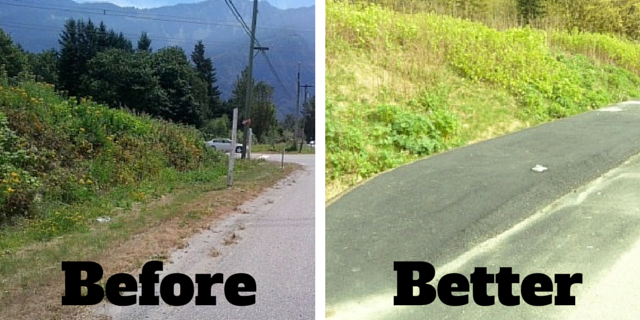 The Transit Minor Betterments Program is improving how British Columbians get around in a major way. Ministry staff partner with local governments, BC Transit and TransLink to identify and deliver between 30 and 40 transit infrastructure upgrades every year. Some projects are small, others are big – but all go to providing people with better access to this affordable and environmentally friendly mode of transportation. So, what does a Transit Minor Betterments Program project look like? Here are a few examples from 2014 and 2015. 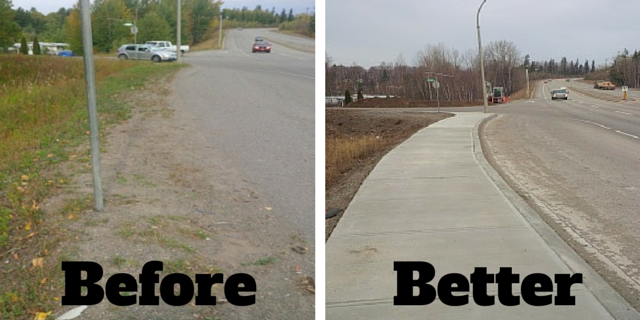 Concrete sidewalks were added to two transit bus stop locations along Highway 97 North in Prince George to improve pedestrian access. 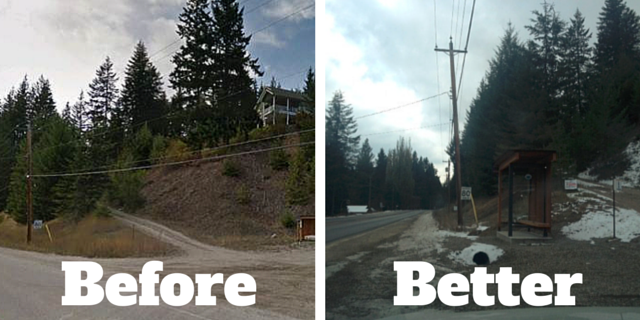 On highway 3A around Nelson, a bus shelter was relocated to a new location that better serves transit users. 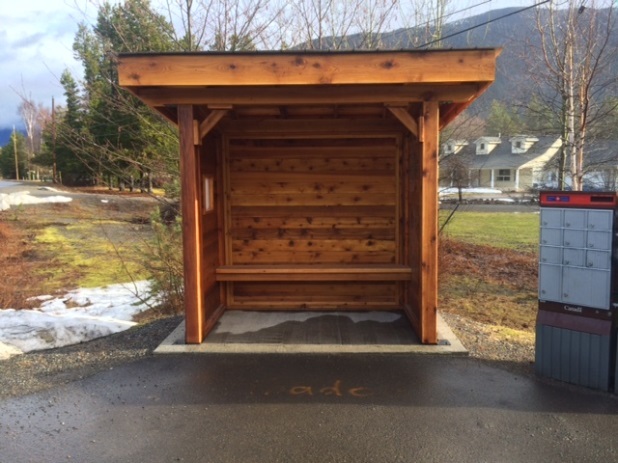 Access to two transit stops located on Highway 9 at Agassiz was improved by constructing wheelchair accessible raised bus stop pads. 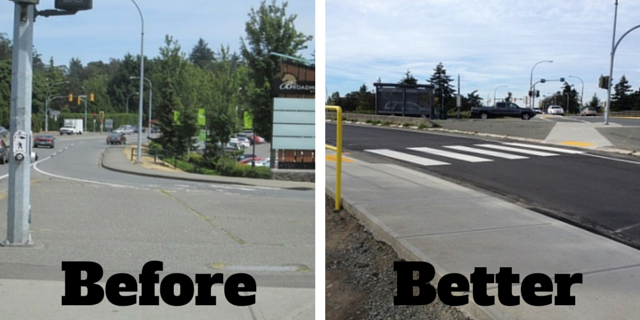 At the intersection of Mill Bay Road and Ferry Road in the Cowichan Valley, the existing bus stop was reconfigured to provide better access for pedestrians and improve traffic safety next to the bus stop. 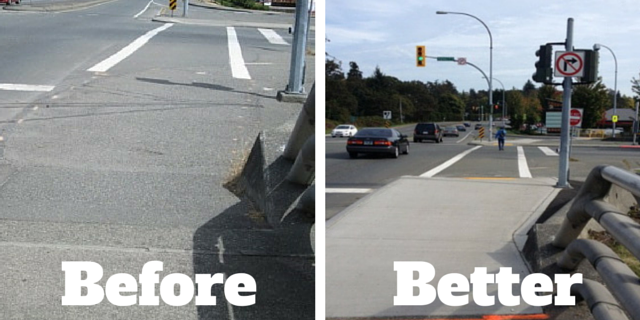 In Saanich, sidewalks and traffic islands at the Royal Oak Interchange were upgraded with proper letdowns to improve accessibility for people with mobility issues. Truncated dome pads were also installed on each end of the crosswalks (yellow in photo) to provide assistance for the visually impaired. 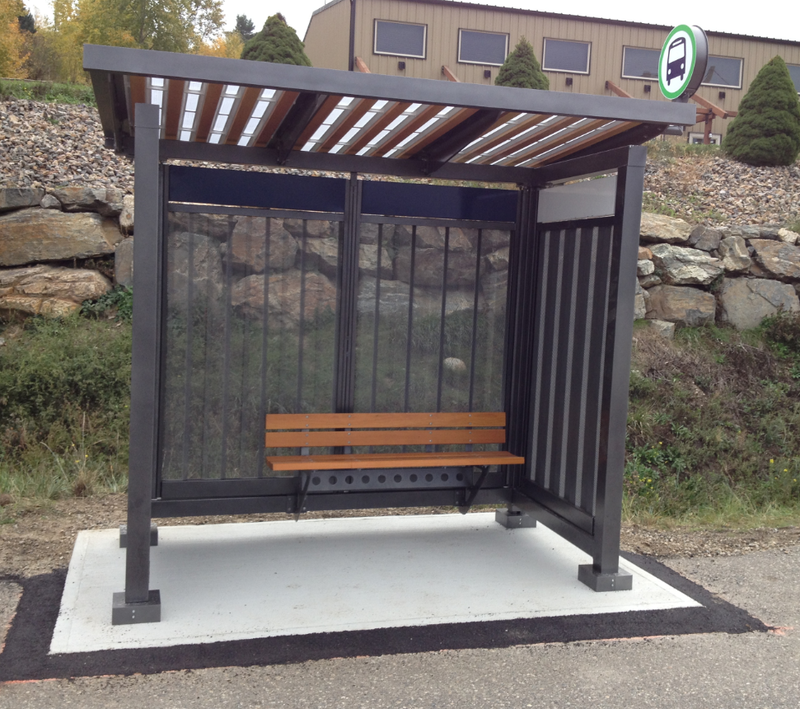 In Vernon, a vandal-proof metal mesh shelter was constructed near the intersection of Pleasant Valley Road and Greenhow Road. 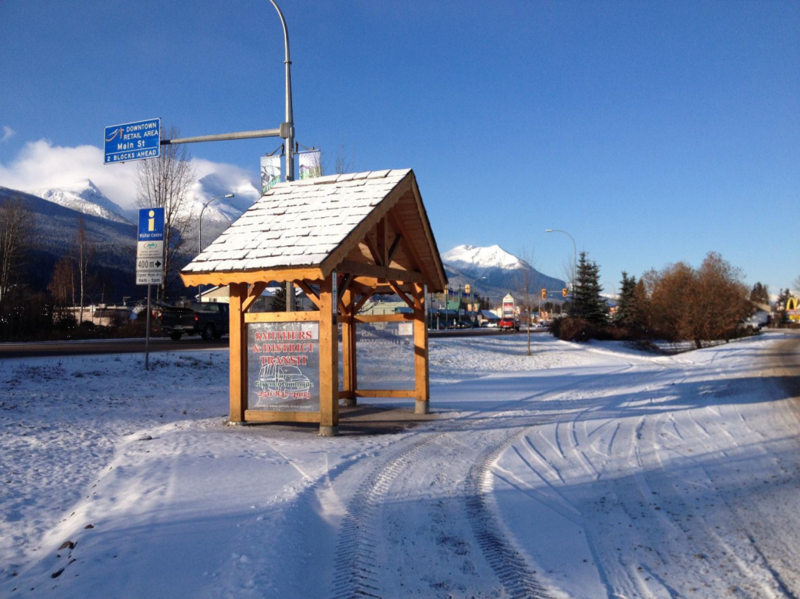 In Smithers, a new bus pullout was constructed and a bus shelter was installed on Highway 16 near King Street. In Terrace, a new bus shelter was constructed at the intersection of Krumm Avenue and Laurel Street. Do you have a suggestion for a transit improvement in your community? Be sure to let your local officials know. Feel free to also leave your idea in the comments section below, and we’ll share with our transit branch. It’s open communication that really makes this partnership work. And all the buses are empty most of the time! 3/4 of regional transit funding is from provincial and city/town taxation. 1/4 is from usage and ads. My question: why am I paying to have so many large empty buses running around towns? I live in Terrace and go to Kitimat twice every weekday. Why don’t you use smaller buses? I’m all for public transit. I’m happy to subsidize those folks who don’t have their own car. I’m happy to make things ‘greener’ with public transit. I’m NOT happy when you guys are so wasteful. Regional transit is currently Wasting many dollars per day and polluting for no reason driving around large empty buses. Stop it. Maybe I need to make a website for this or something. It’s been going on for many years now. I’m talking about regional transit, not metro (I have no idea about that).